A celebration of life service for Rev. Wayne B. Geissinger will be held at John Stewart UMC, 130 W. Johnson St., Upper Sandusky, OH 43351 on February 2, 2019 at 10:30 A.M. The Price-McElroy Funeral Home in Kenton is assisting the family with arrangements. 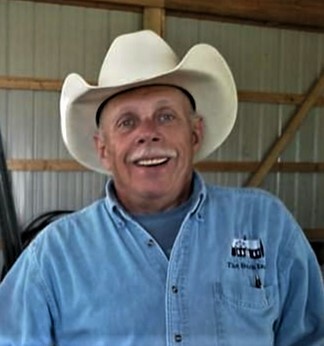 He died at 8:32 A.M. on Wednesday, January 23, 2019 at The Wyandot Memorial Hospital in Upper Sandusky. He was born on August 23, 1949 in Pittsburgh, PA to the late Frank Oliver and Erma Mae (Green) Geissinger. On June 7, 1974 he married Connie Watkins and she survives in Kenton. Also surviving are 4 sons; Russ (Shauna) Geissinger, Linc (Dawn) Geissinger, J.Mac (Wendy) Geissinger, Dale (Sara) Geissinger, a sister; Audrey (Carl) Ritter, Grandchildren; Heather (Justin) Keith, Ty, Kimber, Sophie Hannah, Nick, Wayne, Chase, Kylee, Bryce, Step-grandchildren; Levi White, Micah White, Sherah White, Great-Grandchildren; Max McDowell, Annaliese Keith, Step-Great-Grandchildren; Hailey White and Noah White. Wayne attended North Allegheny High School graduating in 1967, he then attended Clarion State College with a major in Education and went on to the Methodist Theological School of Ohio where he received his Masters of Divinity. Wayne pastored at several church's through out his career including; the Church of the Messiah from 1973-1974, Middleburg UMC from 1974-1975, Lafayette Charge from 1975-1980, Clarksville Charge from 1980-1988, Sherwood UMC from 1988-1993, Howard UMC from 1993-2000 and John Stewart rom 2000 until the time of his retirement in 2013. After retirement he attended the Otterbein UMC. Wayne was involved with numerous service organizations. He was a member of the Masonic Lodge and several of the branch organizations of the Lodge including, Eastern Star, Shriners, and the Scottish Rite, where he held various office positions. Wayne was also a member of Rotary Club in Upper Sandusky and he started the Upper Sandusky Chapter of the Road Riders for Jesus, which was a motorcycle ministry. Wayne liked to spend most of his time outdoors, and being in the sun. He enjoyed, boating, fishing, camping, hunting, shooting and riding both his motorcycle and his bicycle. In lieu of flowers memorial donations may be made to Otterbein UMC or C.O.D. @ westohioconference.com.